Happy weekend, friends! We're hoping to take Ophelia to see some farm animals at a nature center nearby- she's completely obsessed. Whatever you're up to, I hope it's fun! 10 drugstore products beauty editors can't stop using. My favorite drugstore find? This stuff. Ever since breaking my ankle, I've been weirdly really afraid of falling when wearing my flimsy sandals. I've decided I need to move into the comfortable footwear arena- luckily it's not all grandma styles out there! These, these, and of course these all look pretty cute! Something I need to work on- do more things that make you forget to check your phone. This was fascinating to me as a Whole Foods lover- what Whole Foods would look like if it was based on science. I'm completely smitten with this sunny yellow dress. Cool new sunscreens- and on that note, can you "eat your sunscreen"? How certain diets provide sun protection. 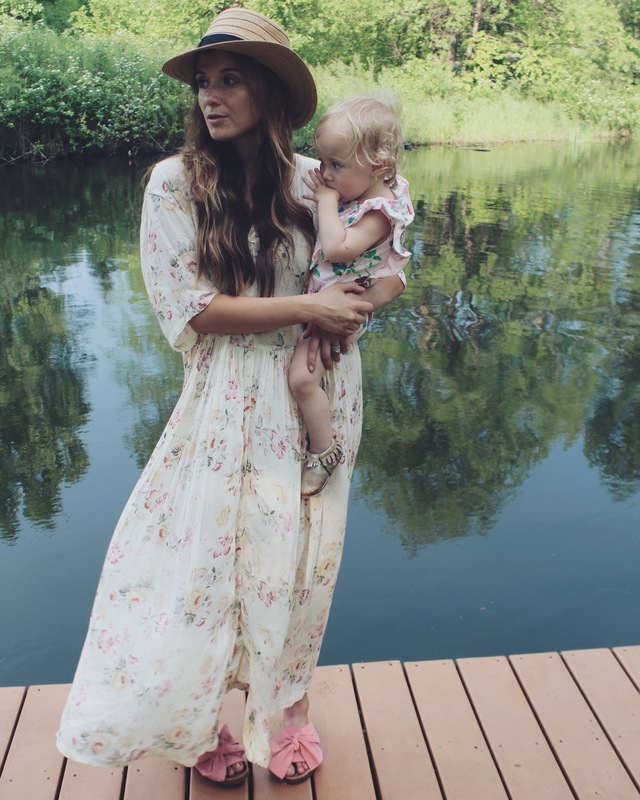 This cotton maxi dress is such a dream- and it's beach vacation ready! 10 mom hacks to try today- these are awesome! The J.Crew summer new arrivals are insanely good. This, this, and this are on my wishlist! The milestones that matter most. The best beer cities and what makes them cool- of course Minneapolis and Saint Paul make the list. 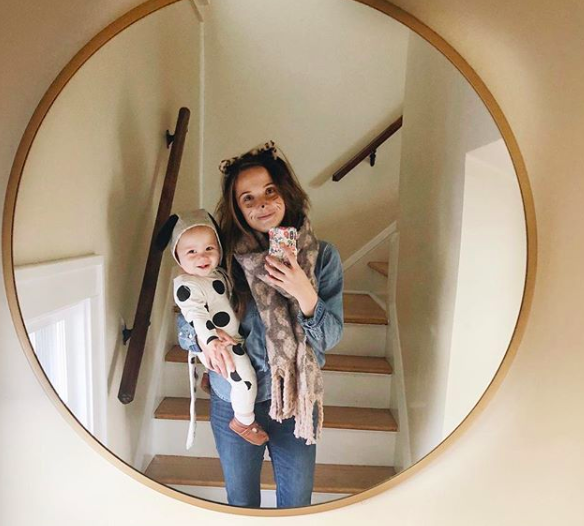 Thanks so much for the reco's on maternity clothes earlier this week! I ordered the Ingrid and Isabel shorts which arrived yesterday. I immediately put them on and haven't taken them off! They are so comfortable and cute I can't wait for some of the tops I ordered to arrive as this will be my summer uniform! A now very comfortable, pregnant reader!! yay!! thank you, i'm so glad! Beautiful photo. I hope she enjoys the farm animals. We took our son to go see penguins and he just looked at us like we were insane for taking him to see a flightless bird. What a beautiful photo. that dress is amazing!